Sell Us Your Bike now wants your to Sell Us Your Boat too! As you may know by now we have locations in both Florida and Michigan. These are two great boating states! Florida has the Atlantic on one side and the Gulf on the other. It also has many great inland lakes. Michigan, of course, is surrounded by the Great Lakes. Both places are Fishing meccas. We just had to take advantage of that opportunity. So we now will buy all major brands of fishing boats made within the last 12 years. 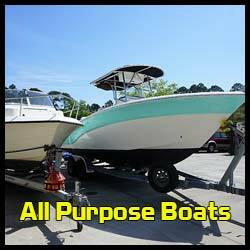 These include; Triton Bass boats, Crestliner, Carolina Skiff, Everglades and other makes as well. 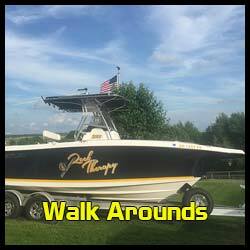 All purpose fishing boats, walk around and center console boats are also on our list of boats to buy. Who buys bass boats? We do! Bass boats are popular for its low sides, which makes landing fish a lot easier to catch. This type of boat only recommends for at least 2-3 people to be on it at a time. Bass boats are super small, but that can be an advantage since it reduces windage better and allows unrestricted casting. They have powerful engines, however, take a great deal of skill to fully master. 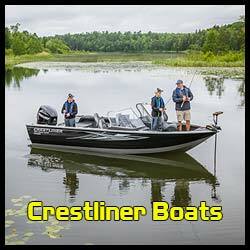 Crestliner fishing boats have been very well known since 1946. These kinds of boats are built to last for a long time and are considered the world’s more durable aluminum boat because of its quality. Crestliner boats are made for fishing. All Purpose fishing boats are typically made for all types of water, excluding the deep seas. This kind of boat rides smoothly across the water and averages around 15-20 feet long. The All Purpose fishing boat is excellent for fishing and can hold up to five people. Walk Around boats are different from other boats because they generally have a path where you can walk around the entire boat. 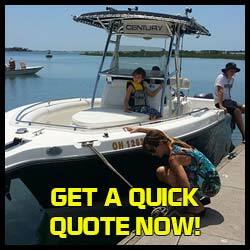 These types of boats have cushioned seats, rod holders and other features that are family friendly. A Walk Around boat’s average is anywhere between 18-28 feet and they’re great for family fun and fishing. There are other types of boats we will buy, that may not be primarily for fishing as well. Are you considering selling your fishing boat in the Florida or Michigan area anytime soon? We would like to buy it from you for a great price. Primarily focusing on the Midwest and Southern states, we can typically pick up your boat within a few days. Please fill free to fill out our quote form below or contact us for more information.